1. Automatic positioning when the machine stops for upgrading operation convenience. 2. Uses high precision photocell sensor for high accuracy of pivoting points tracking. 3. 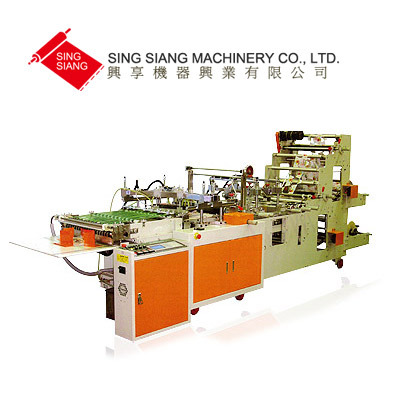 If the printing points come out of position, the machine stops automatically, reducing defective product ratio to a minimum. 4. 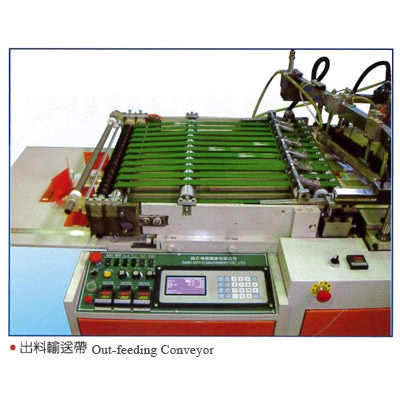 The machine is driven by a variable speed motor allowing for variable speed change. 5. 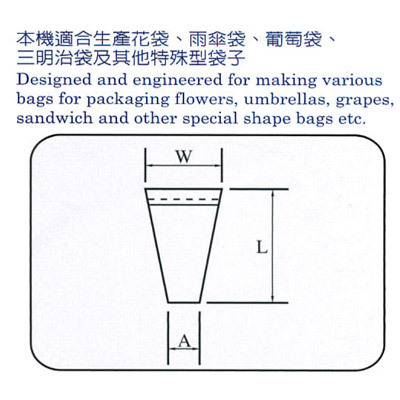 It is quickly accomplished to change bag shapes and size. 6. Choice of various unwinder and rewinder to suit specific bag making requirements. 7. The machine is ruggedly constructed throughout for maximum stability. 8. 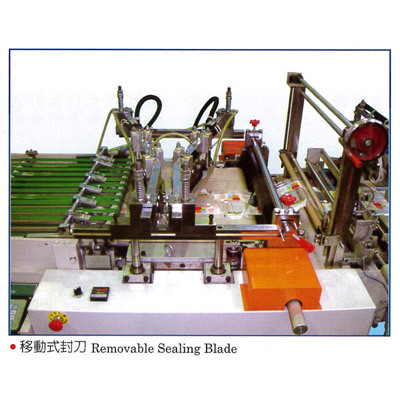 Clean, elegant and secure sealing effect. 10. 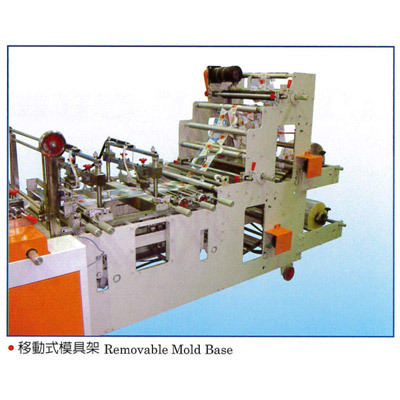 It is convenient and quickly accomplished to change mold.